Australian-based Linc Energy has signed a Memorandum of Understanding (MOU) with the Tanzania National Development Corporation (NDC) and Olympic Exploration Ltd. to work towards the development of a 400 MW underground coal gasification (UCG) to power operation in Tanzania. The MoU specifies a program for the exploration of Tanzania coal and power plant development and is expected to additional power to the Tanzania electricity grid following the completion of the commercial 400 MW power plant in the South West of Tanzania by the end of 2017. 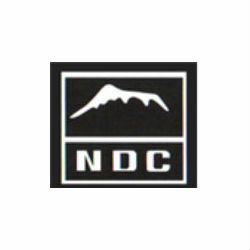 The Tanzania NDC will work closely with Linc Energy and Olympic Exploration to obtain all of the permits and approvals that will be required for the project and will assist in securing land access and utilities and help develop a long-term Power Purchase Agreement (PPA). According to Peter Bond, CEO and managing director of Linc Energy, the MoU will serve to further commercialize UCG technology while also providing significant tangible benefits to the Tanzania economy. “We are delighted to be partnering with the Tanzanian Government and Olympic Exploration in this exciting project which not only acts as a further catalyst for the commercialization of UCG in Africa, but also affords significant economic and regional benefits to the people of Tanzania,” he said in a World Coal report. Linc Energy is an Australia-based energy company with a portfolio of both conventional and unconventional oil and gas assets and is a leader in the development of UCG technology as evidenced by being the only company in the world to have demonstrated the ability to produce diesel and jet fuel from UCG feedstock.